Monica Hof Wallace is the Dean Marcel Garsaud, Jr., Distinguished Profess of Law at Loyola University New Orleans College of Law. Professor Wallace joined the law faculty in 2002 after practicing at the New Orleans firm of Correro Fishman Haygood Phelps Walmsley & Casteix (now Fishman Haygood et al). Professor Wallace graduated first in her class at Loyola University School of Law and while attending law school, served on the Law Review and as Chairman of the Moot Court Program. After graduation, Professor Wallace was a law clerk for the Honorable Jacques L. Wiener, Jr. of the United States Fifth Circuit Court of Appeals and the Honorable Barry Ted Moskowitz of the United States District Court for the Southern District of California. 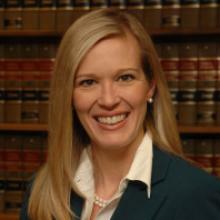 Professor Wallace teaches in the areas of family law, successions, donations and trusts, and scholarly writing. Her scholarly interests include the extent and enforceability of child support for minor children as well as the evolution of marriage and family relationships both in civil and common law systems. Professor Wallace has served on the Executive Committee for the Family and Juvenile Law Section of the American Association of Law Schools and is an active member of the Louisiana Law Institute, most recently being named as the Reporter for the tutorship procedure revisions in the Louisiana Civil Code.